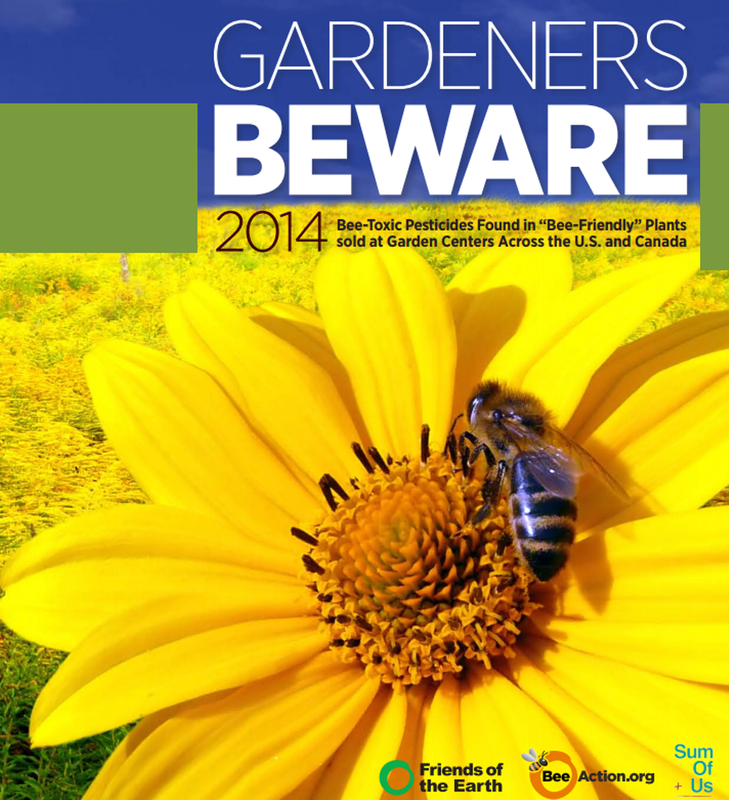 Published this week, the report, Gardeners Beware (PDF viewable here), comes from Friends of the Earth, an environmental advocacy group based in Berkeley and Washington DC., and the Pesticide Research Institute, an environmental consulting firm in Berkeley. Researchers examined garden plant samples purchased at retailers in eighteen cities in the US and Canada, finding that more than half contained neonicotinoids (neonics) — a class of pesticides that scientists and beekeepers have increasingly blamed for declining bee health. The implications of the study are that harmful pesticides are pervasive beyond agricultural regions — and that gardeners may be regularly planting bee-toxic plants without even realizing it. The findings also raise concerns about potential threats to urban bee colonies and suggest that pollinators face risks in different kinds of environments (not just in areas where crops, like corn, are widely treated with neonics). The plants included in the study came from major nursery outlets and garden centers, including Home Depot, Lowe's, and Walmart. Neonicotinoid residues were found in 36 out of 71 samples, representing 51 percent. That means the chance of purchasing a plant contaminated with neonics is high, the authors wrote, and that many home gardens are likely sources of exposure for bees. Bees and other pollinators can suffer a wide range of adverse effects from neonic exposure — including immediate fatalities and "sublethal effects," meaning the bees are essentially weakened. In that latter category, pesticides can harm bees' navigation, fertility, immune systems, and more. These pesticides are systemic chemicals, meaning they are taken up through roots and leaves and distributed throughout the entire plant. Studies have shown that neonics are also very persistent, meaning they can last in the soil for years. Some of the flowers the researchers sampled contained neonic levels high enough to possibly kill bees outright through ingestion of pollen or nectar. Additionally, 40 percent of the contaminated samples contained two or more neonics, which means that many of these plants are likely treated with pesticides on multiple occasions. “The high percentage of contaminated plants and their neonicotinoid concentrations suggest that this problem continues to be widespread,” Lisa Archer, director of the food and technology program at Friends of the Earth, said in a statement. "Most gardeners have no idea that their gardens may be a source of harm to bees." A wide range of plant types tested positive for pesticides, including African daisies, blanket flowers, salvia plants, lavender, and more. For years, a number of advocacy organizations and commercial beekeepers have been pushing for the federal government to restrict the use of neonics (a fight outlined in my recent feature). On the heels of this home garden research, however, the same groups have found another target: They are urging retailers to stop selling contaminated plants. This effort could go a long way in limiting the impact of these toxic chemicals, especially if large corporations take action. And so far, the advocacy groups (which published a similar pilot study in 2013, PDF here) have had some success in this area. BJ's Wholesale Club, which has more than 200 locations in fifteen states, announced yesterday that it will require its vendors to remove neonics from plants by the end of the year or include a label that states “treated with neonicotinoid, use caution around pollinators.” You can read the company's letter to Friends of the Earth here. We want and encourage those doing scientific research to provide us with data on the effects to Honey Bee’s from Neonicitinoids used on our plants. We will require all of our live goods suppliers to label plants that they have treated with Neonicitinoids by fourth quarter 2014. We’re glad to provide customers with alternative products for their insecticide needs and are actively working with our live goods suppliers to find alternative insecticides for protecting live goods and bees. Friends of the Earth has also published a list of retailers that have committed not to use or sell neonics and also has some tips about bee-safe gardening. 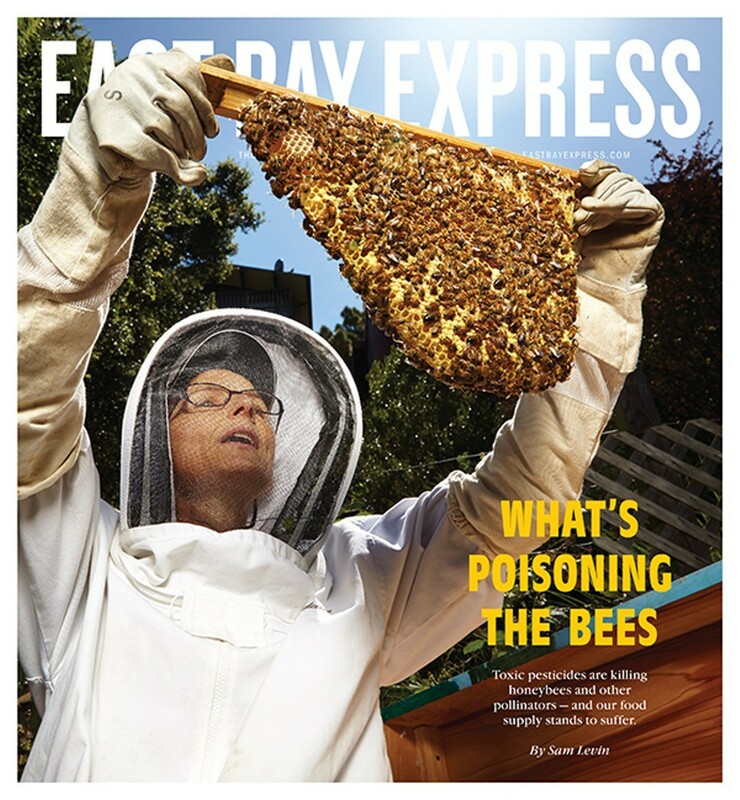 For more on bees and pesticides, check out our June 3 cover story, "What's Poisoning the Bees."